Just because you’re taking a bus or train, doesn’t mean GO Airlink can’t shuttle you around! We offer transportation to major bus and train hubs in New York City. You don’t have worry about getting to the airport or hotel from your bus stop anymore! 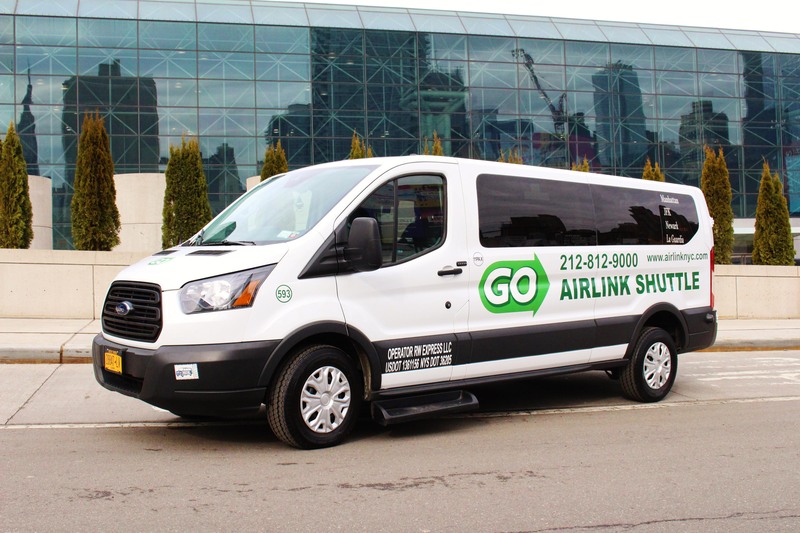 GO Airlink Shuttle will be there to take you to or from the transportation hub of your choice. You can keep your trip affordable and stay comfortable as you continue on your journey. Bolt Bus (33rd Street between 11th & 12th Avenue) – Covering the Washington DC, Baltimore, Boston and Philadelphia area with features like reserved seating and frequent departures. Grand Central Terminal (42nd Street & Park Avenue) – Open from 5:30am – 2am, this historical New York City train hub is a rapid transit railroad terminal at 42nd Street & Park Avenue. With 44 platforms (the most in any railway station in the world), you can get almost anywhere in Long Island, Connecticut and upper New York. MegaBus (34th St between 11th Ave and 12th Ave) – A worldwide bus company, MegaBus covers many roads and have served over 50 million customers. From New York City, they provide service to New York State, Georgia, New Jersey, Maryland, Massachusetts, Vermont, Illinois, Ohio, Pennsylvania and much more! GO Buses (30th Street and 9th Avenue) – Offering service to Boston and Providence, GO Buses prides themselves on safe, quick, affordable and friendly bus service. Vamoose (7th Avenue Corner of W 30th Street) – With options like traveling in a sprinter van or luxury bus, Vamoose will make your trip to or from Maryland or Virginia a breeze. Port Authority Bus Terminal (42nd Street and 8th Avenue) – The main transportation gate into New York City, Port Authority Bus Terminal serves about 8,000 buses and 225,000 people on an average weekday. Academy Bus, Coach USA, Martz Trailways, Grayhound and Peter Pan Bus Lines all operate out of this travel epicenter. In additions, GO Airlink also provides shuttle service at Penn Station, George Washington Bus Terminal and BestBus Stop.